This one I did a while ago. I love Tanin Don on Tuesdays at this place in little Tokyo. They usually put our drawings up on the walls, but I think the bus boy kept this one. This one I did last week at the Miranda Lee Richards show at Tangiers. I was really feeling the music, it reminded me a lot of my childhood. 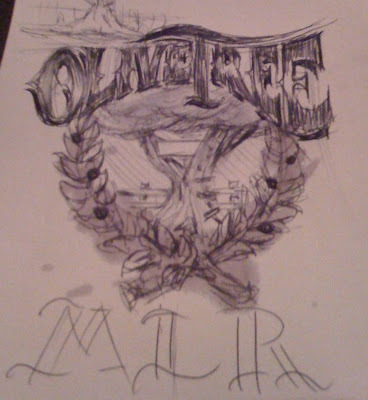 The image is an olive tree that I had in the bottom of my yard growing up. My brother built a tree house in it that I inherited. The name of the song was called Olive Tree.